Ok, so I am old, so my hearing and my eyesight is not what it once was. Yet every day, someone wants to sell me something, but they don’t know who I am. Businesses approach things from their point of view; even when trying to sell something to me. You would think that they would focus on me; not only their targeted customer, but for at least another 20 years, their customer who has the most money. In 20 years, old people will be broke; today many of us have money. Businesses catering to the old should realize this. My wife bought a device for her mother that allows her mother to locate lost things; purse, glasses, keys, etc. It is a great idea; but, the only instructions are on the side of a 2 x 2 inch box in type so small that you can’t even read it with a magnifying glass. And, if your purse is lost, which it frequently is with old people; the device to locate the purse is usually in the purse. Go figure! What is even worse; from an old person’s point-of-view, is that they have to ask someone for help thus admitting to old age. Are there any geriatric tech writers? Look at the instructions that come with something you have bought. Were those instructions written with you in mind? 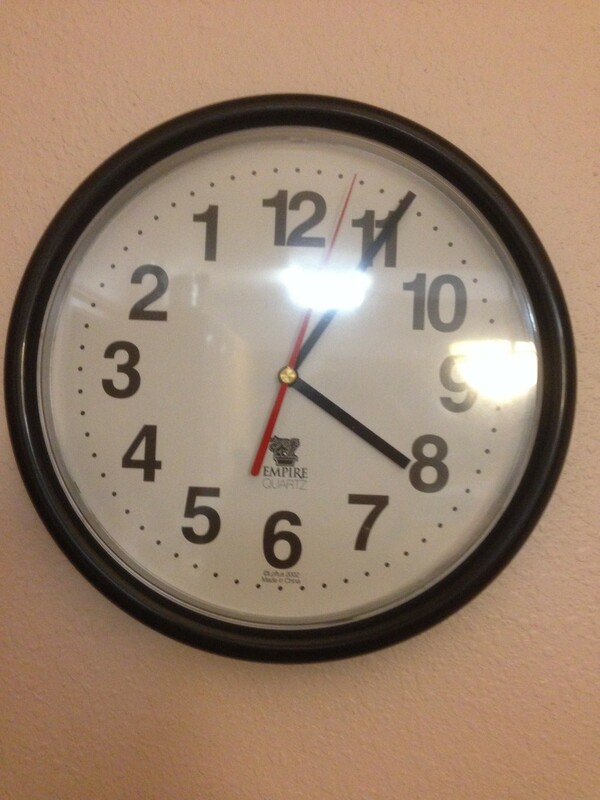 Don’t forget businesses that have receptionists who have such a low voice that you can’t hear them; or, more common, those that rattle off the information so fast, that you don’t get it. How would you explain to your mirror how to put something together; or, how to operate something so that you could understand it? Even harder than explaining it to a mirror, is explaining it to a business. I especially like the low voice-tone and talking speed in audiologists’ offices. You would think an audiologist would realize that the only reason that you were there was because you were deaf. But they don’t seem to realize that when talking to you. Restaurants forget, that while noise may increase turnover and profits, noisy places do not attract old people. Twice this week we have decided against restaurants because of their noise level. And, 50 % of restaurants fail in the first year and 75% in the first five years. Meanwhile, the number of old people is increasing. Restaurants that play music play it for the young help; they forget that two-thirds of their customers are over 65 and like to talk to each other, not listen to some loud off-putting music. I could go on, and probably will, about services and products for old people being developed by people who are not old and who don’t understand old people. WHY I LIKE SENIOR CENTERS!!! ALBUQUERQUE AS AN EXAMPLE! Most people I know hate the idea of senior centers; even more than they hate the idea of growing old. I would agree with them if I could do anything about it. The best I can do is strive for a good old age; and, recognize the problems that come with this stage of life, just like I recognized and dealt with problems in earlier stages of life. Which brings me to Senior Centers. There is one close to me. I joined for $15 per year. 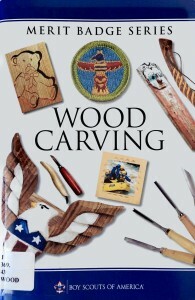 I can do ceramics, woodworking, sewing and most anything else I want. 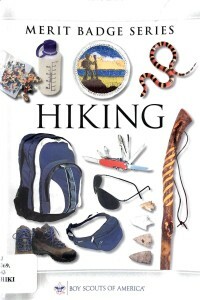 There are numerous classes in physical fitness, yoga, computer training. There are rooms for poker, pool and reading. There is a library of books that are free for the taking and a computer that you can use. They serve breakfast and lunch. Coffee is 25 cents; a burrito is $1.50 with eggs, hash browns and bacon or sausage. You can just show up and eat it. You have to sign up for lunch a day in advance. If you are over 60, which I am, it is free with a suggested $2 donation. If you are under 60 it is $3.75. It is more than you can eat, so my wife and I can share a plate at $1 each, as a donation. The best thing about the senior centers in Albuquerque is the trips that they offer. They provide transportation and lunch for a minimal charge. Today they were advertising a backstage trip to the Santa Fe Opera $16 which includes transportation to Santa Fe and admission. On June 19, there is a tour of an Alpaca Ranch in Mora, NM. In the past we have gone to the Crown Point Rug Auction where several times a year Native Americans sell their hand-made rugs, to dealers and anyone else who wants to bid. The only problem with this tour is the meal; the bus driver gets sandwiches from Costco. It is much better to eat the fry bread and Indian Tacos at Crown Point. Since the Auction is not over until after 10 at night, you don’t want to make the several hour drive back to Albuquerque. You can also get legal help, accounting help, tax help and estate planning. There are more jewelry making classes than you can count. And of course painting and art classes. It seems that every old person wants to become an artist; or, maybe just a blogger. The computer lab is great; no one shows up, so you have the instructor all to yourself. Then, book clubs, card clubs, beading and music. Some of the trips this half-year; were or will be: Forensic Science Center ($2 transportation); Left Turn Distilling Tour (50 cents transportation); Hispanic Cultural Center ($2 transportation, $2 admission); Harvey House Museum ($5 transportation to Belen); San Felipe Pueblo Feast Day ($3 transportation); Chaco Canyon; Dar Al Islam Mosque ($12 transportation); Santa Fe Opera House Tour ($8 transportation, $8 admission). And those are just the trips that interest me out of 79 available day trips during the first half of 2015. Most towns have senior centers; so if you are traveling look them up in advance and see what they have to offer. The only downside is that you are with a bunch of old people, but…..
You might be happier sitting at home and pretending that you are not old. 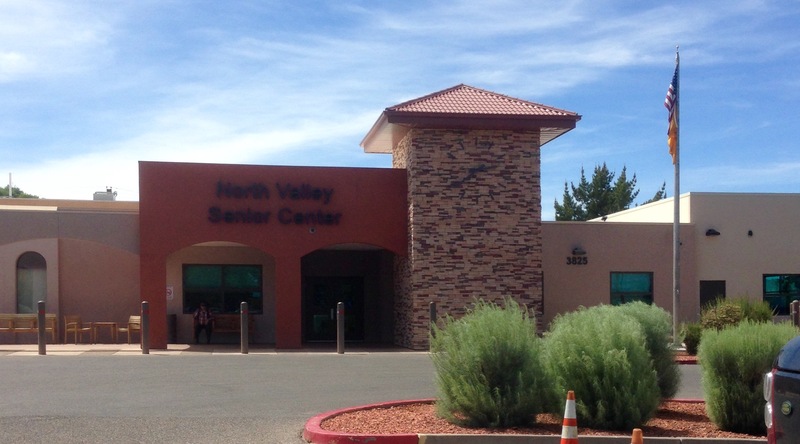 To check out Albuquerque, see: Senior Centers. 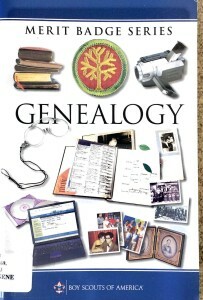 Small communities are show cases for history, genealogy and crafts. Huntington, NY is no exception. On a recent visit, I attended a “Sheep to Shawl Festival” in Huntington offered by the Huntington Historical Society. This was on a Sunday afternoon in May and held at one of the Society’s properties, the 1795 Dr Daniel W Kissam House. Dr. Kissam had a stroke; so, he had the room next to his examining room converted into a bedroom and apparently continued to treat patients as he was able. This was around 1800. The volunteers are full of stories about their ancestors; and, of course, they dress the part. There was a free tour of the house, barn and other outbuildings. The Society had tables for crafts; staffed by a large number of talented quilters and artists who made things as they did 200 years ago. It was fascinating; especially when you consider that old people are fascinated with their past and with the things people made on their own. There was a sewing machine that a young boy made; simple and pedal operated but it still worked. 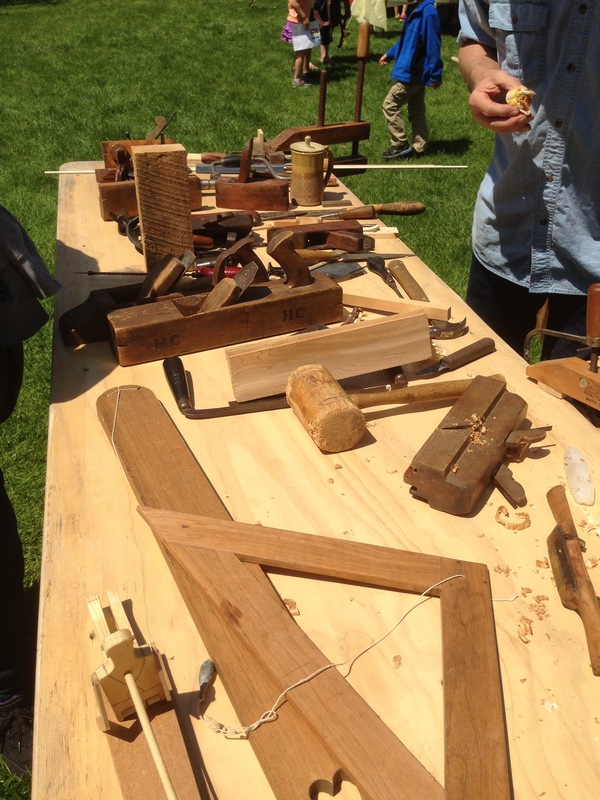 There was a lady shearing sheep; people weaving; and, a man who was into wood carving making small, simple whistles. The society has numerous events over the year and several properties that you can visit. 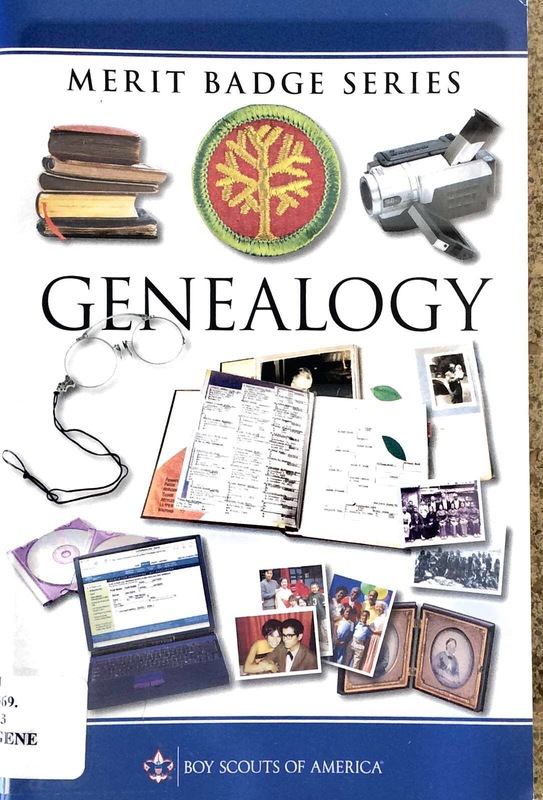 It also sponsors a genealogy workshop that includes and annual trip to the Family History Library in Salt Lake City. The point is that I spent an interesting and educational Sunday afternoon. I learned how simply people lived two hundred years ago and met people who were recreating history. There was even a revolutionary war contingent that had set up camp across the street; cooking in a dutch oven and firing their muskets, much to the delight of children. You can find these Exhibits and programs in towns all across the US; and, they are worthy of a visit. They are local and done with a passion that you don’t find elsewhere. You could travel across the US on your own mobile American History Course; and, with a little work, could make it reflect your ancestors and their place in American History. You can even start at Ellis Island. 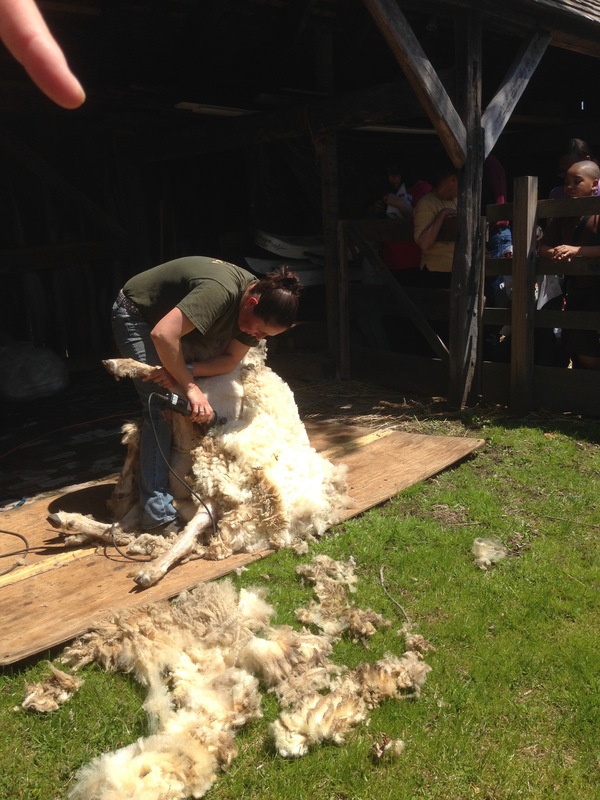 Sheep Shearing at the Sheep to Shawl Festival on May 3, 2015 in Huntington, NY.